Duncan held the Chair of the Strategy and Practice group at the Strategic Management Society conference for three years and was 2008 joint winner of the Best Paper for Practice implications in Cologne, Germany. He currently chairs the awards panel for the Strategic Management Society’s prize for best conference paper for practice implications. He is also currently Chair of the panel of judges for the Management Consultancies Association, London, annual performance awards for best consulting company and for best management consultant. He sits on the advisory board of the centre for mergers and acquisitions research, CASS Business School, London. Duncan has published widely on Strategic Management and Mergers and Acquisitions and has published in many journals including Academy of Management Executive, Advances in Mergers and Acquisitions, Business Horizons, California Management Review, European Management Journal, Journal of World Business, Long Range Planning, Organization Studies, Strategic Change and is frequently in the media commenting on M&A deals. He has written three books: ‘Mergers and Acquisitions’, and ‘The Strategy Pathfinder’ 2nd edition, both published by Wiley, Oxford and ‘Implementing Successful Post Acquisition Management’ with Financial Times / Prentice Hall. Duncan’s primary area of research is strategic perspectives on Mergers and Acquisitions. He recently completed a three year research programme, for the European Union, investigating the patterns and effects of M&A in the European food supply chain. His attention now focuses upon a Strategy-as-Practice approach to M&A and how the practices and activities of key executives influence overall processes and outcomes. 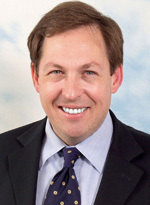 Related to this perspective, Duncan has recently won a substantial research grant from Oxford University’s Centre for Corporate Reputation to investigate the practices and impacts of corporate communications during mergers and acquisitions. Before moving back to academia, Duncan held senior appointments in International Investment Banks specialising in Corporate Finance and cross-border Mergers and Acquisitions. He maintains close links with industry working with companies including Bank of Austria, Care UK, Central Bank of Libya, Centrica, China Construction Bank, Collinson Grant, Corus, CSFB, Deloittes, Ernst and Young, Experian, HSBC, IAMCO, IBM, KPMG, MCA, McKinsey, Prudential, Royal Shakespeare Company, Severstal, Taylor Wimpey, TNT, Vodaphone, YKK. Paroutis, S., Heracleous, L., Angwin, D. N. (2012) Practicing Strategy. Sage. Angwin, D. N., Cummings, S. and Smith, C. (2011) The Strategy Pathfinder, 2nd edition, Wiley, Oxford. Angwin, D. N. (2007) Mergers and Acquisitions, Wiley / Blackwell Publishers, Oxford. Checkley, M., Hignon, D. A., Angwin, D. N. (2010) Venture Capital Syndication and Its Causal Relationship with Performance Outcomes, Strategic Change: Briefings in Entrepreneurial Finance, 19, 5-6. August. Angwin, D. N. and Paroutis, S. (2009) Connecting up Strategy:Â Are Senior Strategy Directors (SSDs) a missing link? California Management Review, 51 (3):74-94. Spring. Angwin, D. N. and Meadows (2009) The Choice of Insider or Outsider Top Executives in Acquired Companies, Long Range Planning, 37: 239 â€“ 257. Angwin D. N. and Paroutis, S, (2008) The Strategy Director: front-line soldier or reserve general? ', Strategic Innovators, April Issue. Angwin, D. N., Stern, P. and Bradley, S (2006) Strategic Practice during a hostile takeover process: the bid for Blue Circle PLC, Journal of Strategic Management Education, 3, Senate Hall Academic Publishing. Angwin, D. N. and Vaara, E. (eds) (2005) Connectivity in Merging Organizations, Special Issue, Organization Studies 26 (10): 1447 â€“ 1635. October. Angwin, D. N., Stern, P. and Bradley, S. (2004) The Target CEO in a hostile takeover: Agency or Stewardship â€“ can the condemned agent be redeemed? Long Range Planning, 37 (3): 239-257. Angwin, D. N. (2004) Top management in Mergers and Acquisitions, Advances in Mergers and Acquisitions, JAI Press, 3: 57-82. Angwin, D. N. (1998) Top manager type and post-acquisition change, les cahiers du management, ESC, Toulouse, France. Angwin, DN, Kastrinaki, Z, and P Stoneman, (2010) ‘M&A in the European food supply chain', FOODIMA Research report to the EU. Kastrinaki, Z, P Stoneman and DN Angwin, (2008) 'A survey of theoretical and empirical approaches to analyzing merger activity', A FOODIMA research report to the EU. Kastrinaki, Z, P Stoneman and DN Angwin, (2008) 'An evaluation of merger waves along the EU food supply chain', FOODIMA Research report to the EU, 2008. Angwin, D. N. (2011) Typologies in M&A research, Chapter 3 in Faulkner, D., Teerikangas, S. and Joseph, R. (eds) (2011) Oxford Handbook of Mergers and Acquisitions, Oxford University Press, Oxford. Angwin, D. N. (2007) Agency theory perspective, Chapter 8 in Ambosini, V., Jenkins, M. with Collier, N. (2007) Advanced Strategic Management, 2nd edition, Palgrave Macmillan. Angwin, D. N. (2005) Corporate strategy: mergers, acquisitions and strategic alliances, chapter 10 in McGee, J. Thomas, H and Wilson, D. (2005) Strategy: Analysis and Practice, McGraw Hill. Dacko, S. and Angwin, D. N. (2005) 100 Days since the merger or acquisition: time to evaluate success?, In Search of Time, Palermo, Sicily Chapter 5. Angwin, DN and Paroutis, S. (2009) Down, but not out! â€“ M&A during recession, Business and Economy, Planman Media. Angwin, D. N. (2005) Strategic Management Texts, Review article, Times Higher Education Supplement, The Times, November. Angwin, D. N. (1997) Re-evaluating acquisitions, The Scotsman.